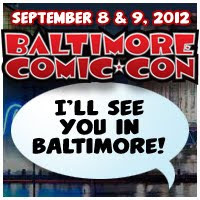 Comics Experience Blog: CE Alums Exhibiting at Baltimore Comic Con 2012! Baltimore Comic Con 2012 is this weekend, September 8-9, 2012, and a bunch of Comics Experience alums and Creators Workshop members will be attending and exhibiting! In addition, we'll be holding a Comics Experience Meet-Up on Saturday night. If you're an alum and don't have the details, drop an email to rob@ComicsExperience.com. Here's a run-down of some of the CE folks exhibiting at Baltimore! 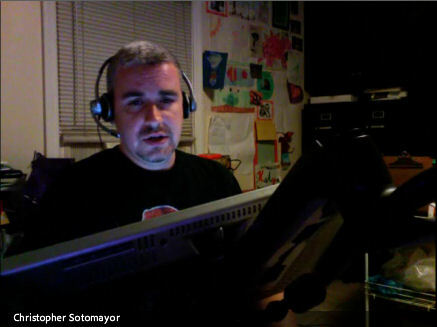 Comics Experience Coloring Instructor, Chris "Soto" Sotomayor will be exhibiting at Artists Alley table A231. Stop by to watch Soto coloring before your eyes (that guy is always working) or chat him up about his Intro to Comic Book Coloring and Advanced Comic Book Coloring courses! CE alum and Workshop member, Chris Lewis, will be flying in all the way from Germany for the convention to premiere his new comic book Drones. Drones is described as "The War on Terror - Now Playing in Las Vegas!" Chris was recently interviewed on Liberation Frequency, where he discussed Drones and the impact of Comics Experience on his work. 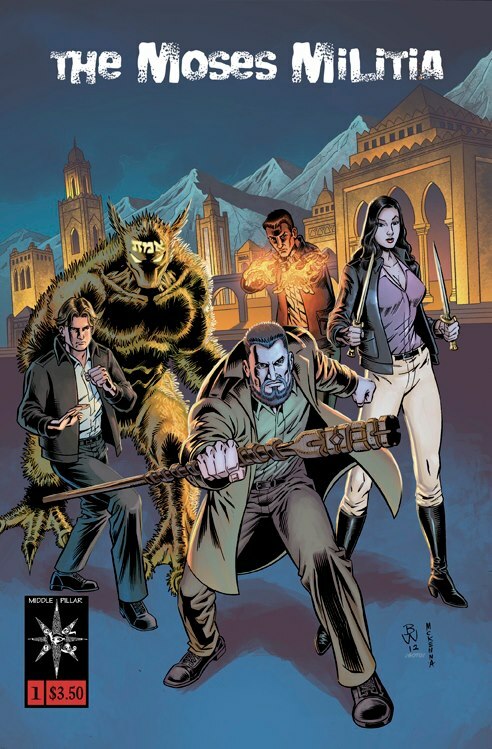 Check out the comic book trailer below or visit www.epigamics.com for more info. Chris will be exhibiting at the Epigamics table -- A5 -- in Artists Alley. CE alum and Workshop member Joe Sergi will be exhibiting, showing off the latest Elevator Pitch Press anthology, Aliens Among Us. 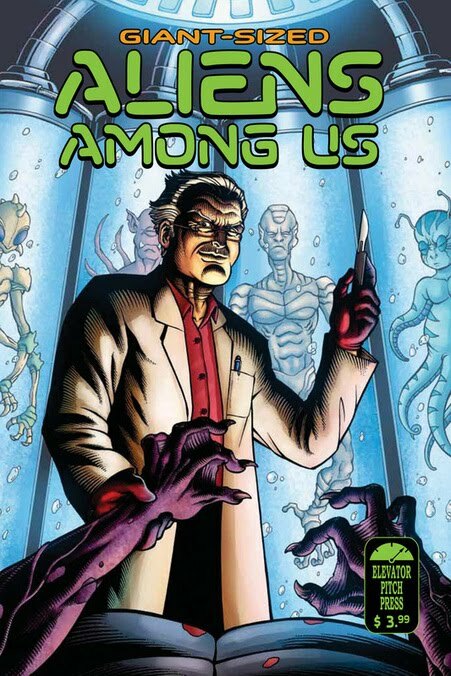 Joe was a writing contributor as well as editor of the book, along with numerous other Comics Experience writing, art, and lettering alums and Workshop members -- including the cover shown by CE art alum, DaFu Yu. You can read more about Joe and his work (including his regular column for the CBLDF) on his website: www.joesergi.net. Joe will be exhibiting in Artists Alley at table A105. 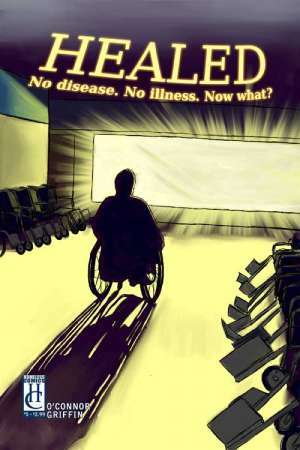 CE alum and Workshop member George O'Connor will be exhibiting, showing off his now-completed 5-issue miniseries Healed. In Healed, when all life-threatening diseases and illnesses are suddenly cured, it leaves confusion and chaos in its wake. Reviewer Blair Butler of Fresh Ink Online and G4TV wrote it's "Fun, West Wing-type dialogue and I love the stories at play here." You can find George at the Homeless Comics table -- A92 in Artists Alley. CE alums and Workshop members Joey Groah and Gannon Beck (also on our staff as our new Art Moderator!) will be premiering the zero issue of the book Space Corps. Gannon publishes and provides all interior art (as well as some stories), while Joey has also written a story inside. 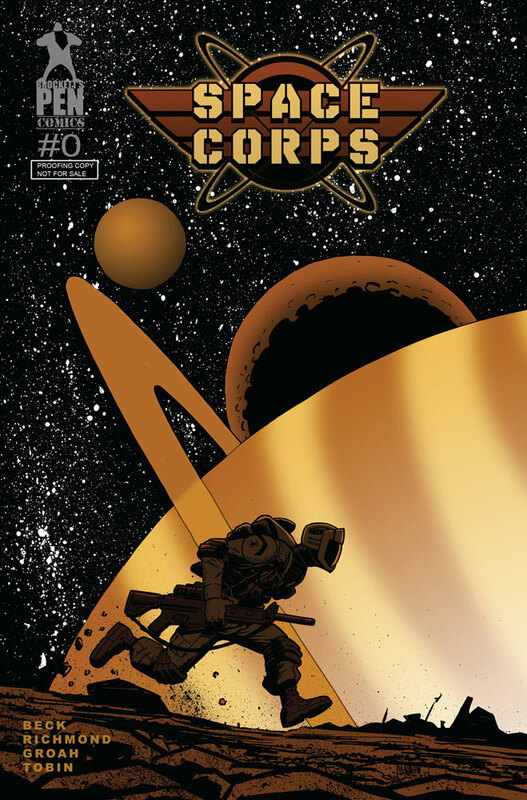 Space Corps is an ongoing comic series which gives the account of a platoon of Space Marines fighting in a planet-hopping campaign in an intergalactic war. You can find Gannon and Joey at table A253 in Artists Alley. CE alum and Workshop member Amy Chu will be offering her short story collection Girls' Night Out as well as CE alum Georgia Lee's scifi thriller Meridien. 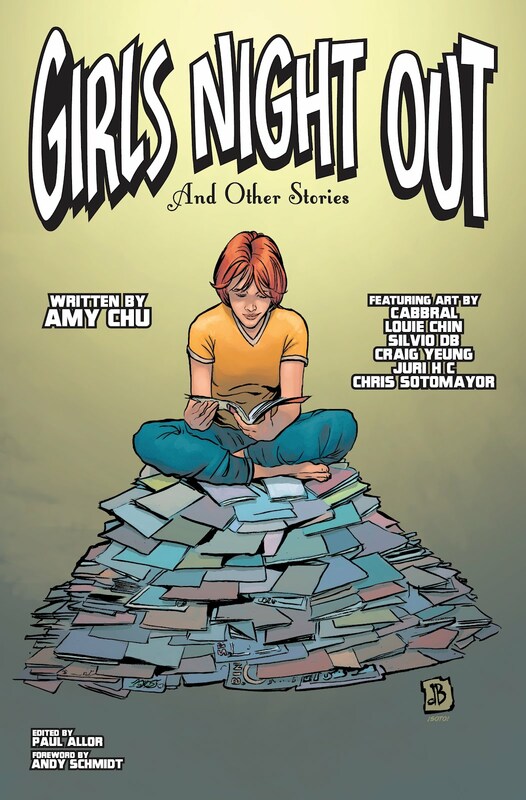 Girls' Night Out is a collection of short stories written by Amy, each with different artistic teams. Georgia’s Meridien City follows a space detective in a world where the upper class dominates the only habitable living space on the planet. You can find Amy at table A253 in Artists Alley with Gannon and Joey! 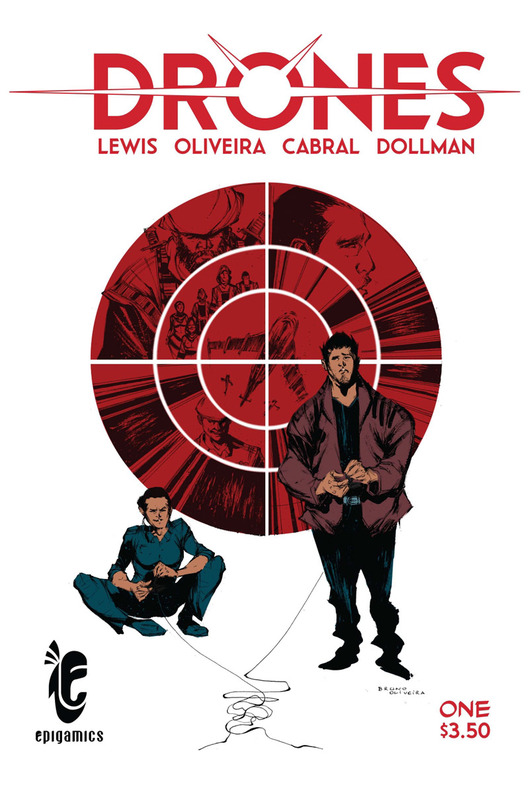 CE alum and Workshop member James Babbo will be debuting his new comic, The Moses Militia. The Moses Militia is set during World War II, where four Jewish soldiers are determined to stop a Nazi alchemist’s plan to kill Winston Churchill with the undead. And it's set in Nazi occupied Casablanca! The cover features work by Bill Wylie, Mark McKenna and our coloring instructor Chris Sotomayor. You can read more about the project right here! You can find James at table A-56 in Artists Alley! Best of luck to all our alums attending and/or exhibiting at Baltimore Comic Con!